Electoral Competition in Botswana: Is the Playing Field Level? ABSTRACT: The central thesis of this article is that the electoral process in Botswana belies the oft-cited claim that the country is a haven of democracy. Botswana has held ten successive elections since 1965, yet the same party, the Botswana Democratic Party (BDP), has been returned to power without fail. At a glance, and taking these elections into consideration, Botswana would appear to be an extraordinary country in the African context - one where democracy is in the process of consolidation. Far from it. A closer assessment shows that Botswana's electoral competition is deceptive and that there is a deficit of competitive elections, a key requisite for the consolidation of democracy. The article examines the factors that contribute to the flawed electoral competition and concludes that the country's electoral process does not satisfy international standards of free and fair elections. ABSTRACT: In 2011 the Democratic Republic of Congo (DRC) held its second competitive presidential and legislative elections since it gained its independence in 1960. While it was expected that these elections would reflect a significant improvement over those in 2006, they were marred by such grave irregularities that the outcome was described by most election observer missions as lacking credibility. This article draws on the reports of election observer missions, statements from key stakeholders and media reports in order to discern the most salient dynamics of electoral misconduct in the DRC in 2011. Given the nature and degree of electoral fraud, the article argues that the election debacle was not the result of technical and accidental factors but was the product of a systematic and state-sponsored design to rig the elections in favour of the incumbent president and members of Parliament from his political camp. In order to quell popular protest against stolen elections the incumbent used illegitimate and excessive violence aimed at terrorising the people and forcing actual and potential protesters into submission. This analysis suggests that the democratic project in the Congo has experienced a dramatic reversal. In order to safeguard the democratisation process it is crucial that national and international stakeholders tackle the foundations of this type of electoral authoritarianism. ABSTRACT: From Algeria to South Africa, passing through Côte d'Ivoire, Kenya, the Democratic Republic of Congo and Zimbabwe, election-related violence has imposed itself as a full component of Africa's political landscape in the past two decades. The prevalence of such violence in Africa has led to the production of abundant literature dedicated to the matter. This research seeks to contribute to the existing academic literature by focusing specifically on the patterns, causes and consequences of election-related violence on the continent. The central argument of the article is that, although the patterns, causes and consequences of election-related violence do not necessarily follow the same trends in different African countries (due to, among other factors, inter-country historical, socio-economic and political differences), there are commonalities in the types, causes and consequences of such violence on the continent. While a thorough understanding of the patterns and causes of election-related violence in Africa constitutes an important point of departure in addressing the problem, an effective prevention strategy should embrace a multi-level approach targeting all significant stakeholders in any electoral process, including the political leadership, the electoral management body, civil society organisations, the general public and external partners. Dr Westen Kwatemba Shilaho is a Postdoctoral Research Fellow, University of Johannesburg. ABSTRACT: On 4 March 2013 Kenya held transitional elections that were significant for three reasons. Firstly, they were a test of the country's institutions under the new Constitution, which was promulgated in 2010. In 2007 Kenya experienced violently disputed elections, partly because of weak and dysfunctional institutions not capable of impartially arbitrating political disputes. Secondly, Uhuru Kenyatta and William Ruto presented a joint presidential ticket despite having been indicted by the International Criminal Court as among suspected masterminds of the 2007-8 post-election violence. Thirdly, Raila Odinga, the loser of the controversial 2007 presidential election, attempted to succeed the incumbent, Mwai Kibaki, through a third presidential bid. Thus stakes were much higher in 2013 than at any other election time in Kenya's independence history. Some reforms under the new Constitution, the Kikuyu-Kalenjin tribal alliance and the ICC factor ensured that the elections were relatively violence free. However, as in the past, the presidential contest was primarily about control of the state by expediently cobbled together ethnic alliances of self-styled ethno-regional barons for spoliation opportunities. In this article I argue that the triumph of the ICC duo was a setback for reform since it ensured continued dominance of Kenya's economic and political spheres by the ancien régime. Kenyatta and Ruto could not countenance reforms because they were beneficiaries of an unreformed and centralised state. Thus they were bound to frustrate implementation of the Constitution, which was intended to secure Kenya's stability by consolidating democracy. Professor Esther Kibuka-Sebitosi is a professor at the Institute for African Renaissance studies, University of South Africa. 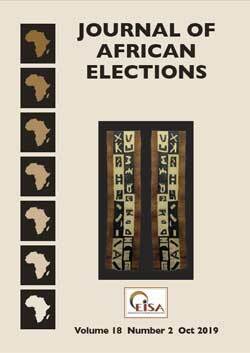 ABSTRACT: Gender, an important concept in African elections, has been largely ignored, yet the majority of voters tend to be women, while those who hold the authority and are elected to political positions are mostly men. This article examines the understanding of gender in the African context and analyses the underlying causes of the gender paradox. Using a multi- inter- and trans-disciplinary approach, the concept of gender is scrutinised within the election cycle. Findings about gender dynamics drawn from African nations showed that less than 30% of representatives in elected African parliaments are women. The reasons for this gender disparity appear to be deeply embedded in the historical and ideological traditions within the political, economic and social dimensions of Africa's development. The article ends with the identification of barriers to entry for women candidates in selected African countries. Strategies for transforming gender inequities in elections are discussed. ABSTRACT: Increased democratisation in Southern Africa might suggest that gender equality no longer matters in the politics of countries in the Southern African Development Community (SADC) region. Yet the political participation and representation of women remains controversial owing to gender stereotypes, rhetoric, tokenism and patriarchy. Critically examining the political processes in the SADC region, specifically elections, gender and women's role in a democracy, the article acknowledges progressive legislation and some 'successes' in a few countries in the region, but contends that the situation of women in the politics of these countries remains unsatisfactory and that it requires political will and collective action to ensure substantive participation and representation in governance processes. Based on a literature review, data analysis and theoretical postulations about women's political participation and representation, the article argues that much more needs to be done in this regard. To understand the hurdles women face in politics in the SADC region, especially political party rhetoric and patriarchy, the author explores a few theories, including the Ubuntu philosophy, and revisits the debates over women's quotas in political parties to improve participation and representation. The conclusion suggests measures for empowering women candidates and political party members, while urging women to show more interest in politics, particularly elections. ABSTRACT: Namibia is revising and reforming its Electoral Act (Act No 24 of 1992). In this undertaking stakeholders were consulted and public meetings were held throughout the country. In the subsequent report (2012) there were 59 recommendations of ways in which the Electoral Act could be improved. Electoral revision implies re-examining the Electoral Act within the context of democracy. The aim is to discover and rectify errors and shortcomings. Since electoral revision achieves reform, the two concepts are intertwined, with the intention of both being to strengthen the qualities of an Electoral Act. In this process, apart from efficiency, public desires and expectations must be attended to. In addition to the administrative and managerial task of running elections attention must be paid to the normative character of an electoral process, which is substantially determined by electoral justice. A number of principles are identified in relation to the character of electoral justice. These principles should be pursued both by stakeholders in the electoral process and the electoral bodies responsible for conducting elections in a democratic environment.